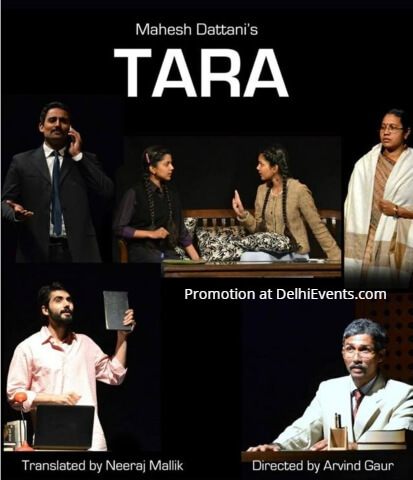 Event Description : Asmita Theatre Presents Mahesh Dattani's 'Tara' Hindi Play. Mahesh Dattani's play 'TARA' has a powerful story line and deals with the pertinent and potent questions of medical ethics, personal relationships and Hypocrisy Which Exists In Indian Families. It Also Highlights The Issue Of Gender Discrimination And Aspects That Are Two Sides Of The Same Coin. The Play Questions The Role Of A Society That Treats The Children Of The Same Womb In Two Different Ways.